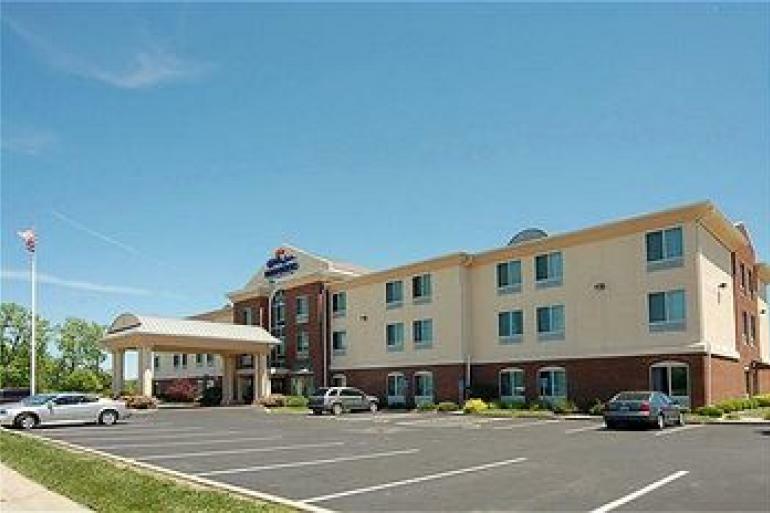 Holiday Inn Express Hotel and Suites Blue Ash offers hotel packages bundled with tickets to area attractions like Cincinnati Reds, Newport Aquarium, Cincinnati Zoo & Botanical Garden and more. Click the View Hotel Packages button to see what's currently available. Leisure guests love our Blue Ash hotel's location near Cincinnati because they're close to everything. The family can spend a thrilling day at Kings Island Amusement Park. The world-class Cincinnati Zoo and Newport Aquarium are just minutes away and offer exciting experiences for kids of all ages. And since downtown Cincinnati is so easy to reach, don't miss the Cincinnati Reds or an NFL Bengals game while you're in town. Few hotels near Cincinnati can match our value and amenities. With an indoor pool and a Fitness Center, we make it easy to stay active. Stay on top of your game with our free, hot Express Start Breakfast Bar. No matter what brings you to Cincinnati, Ohio, our hotel's staff is waiting to welcome you.